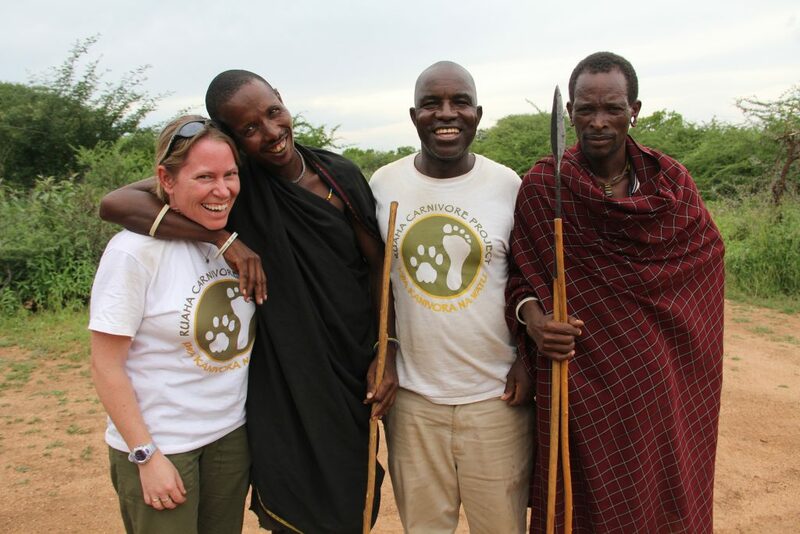 Amy has worked in carnivore conservation for 16 years, and in 2009 established Tanzania’s Ruaha Carnivore Project (RCP), located in one of the world’s most important and inaccessible wildernesses. The Ruaha area is globally valuable for threatened carnivores, but Amy discovered that lions were being killed there at a rate unmatched anywhere else in Africa. Over the past five years, Amy and her team have worked with many thousands of local people to reduce conflict and improve the situation. They have helped people better protect their livestock, developed extensive community healthcare and education initiatives to demonstrate tangible benefits from carnivore presence, and have built significant capacity and awareness through employment, training and education. Amy has achieved vital conservation successes in one of Africa’s most important areas – Tanzania’s Ruaha landscape. This landscape, which covers over 12 million acres of protected and unprotected land around Ruaha National Park, supports over 10% of the world’s remaining lions, the world’s third biggest population of endangered African wild dogs and one of East Africa’s largest cheetah populations. However, despite its international significance, Ruaha has been largely overlooked. 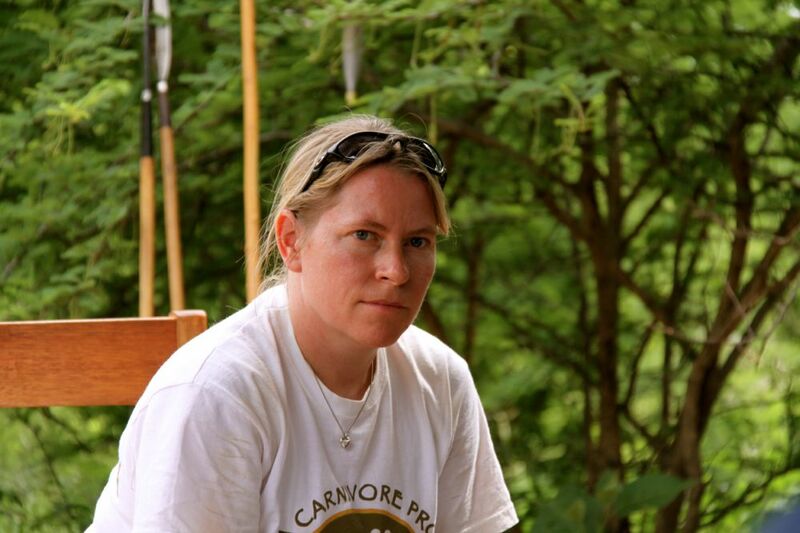 In 2009 Amy established its first carnivore conservation project. She discovered intense human-wildlife conflict and the highest documented level of lion killing in East Africa, with warriors from just a single village killing 39 lions in under 18 months. Given the precipitous decline in global lion numbers, and the importance of this area, reducing this intense conflict and killing was a top conservation priority. However, the tribe predominantly responsible – the Barabaig – were extremely hostile to outsiders and no conservationists had ever worked successfully with them to reduce carnivore killings. Amy started RCP with two Tanzanian colleagues, one bike and three small tents. Despite significant challenges posed by a lack of infrastructure, very limited funding and significant hostility from the Barabaig, they worked tirelessly to reduce carnivore attacks on livestock, by helping villages predator-proof enclosures, training herders in best-practice protection methods, and establishing a livestock-guarding dog programme. Furthermore, for long-term conservation, people need to see tangible benefits from wildlife presence, so Amy and her team worked with local villagers to provide this. They developed and equipped a healthcare clinic serving over 1500 people, provided books for thousands of schoolchildren, developed a scholarship initiative for pastoralist girls and boys, and provided access to high-quality veterinary medicines so hundreds of households could further safeguard their stock. Additionally, they built local capacity through training and employment of local Barabaig warriors, and raised awareness of wildlife and the need for conservation. In only five years, Amy’s work has resulted in a 60% decline in livestock depredation, a significant rise in people recognizing benefits from wildlife, and most importantly, an 80% decline in carnivore killing. This has ecosystem-level benefits, as poisoning incidents kill hundreds of vultures and other threatened species as well. Most notably, the local Barabaig have significantly changed their views – whereas five years ago they used to reward young men with cattle if they killed lions, in 2013 they decided that anyone who tried to kill a lion would be fined cattle, as they saw the long-term importance of lion presence and conservation. The clear desire for the project to be sustained has come from the local villagers themselves, who recently donated land so that the project could have a long-term presence. RCP is being used as a model for community carnivore conservation elsewhere in Africa, with requests to help projects in other countries. Amy is extremely collaborative and works closely with colleagues across Africa to share successful methods. Inspired by Amy’s story? Learn about another extraordinary finalist. Let Amy and others like her know that you support them #ForAllTheyDo.